How easy and tasty is this egg wrap? You often have the ingredients already in the house and you can fill it with what you like! 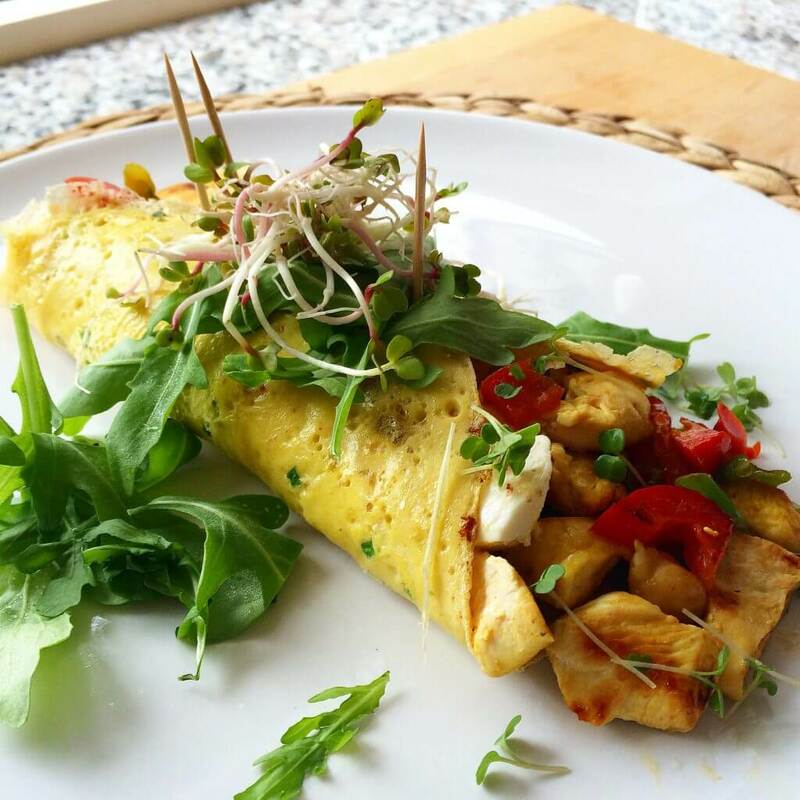 The wrap can be made simply by knocking your eggs lose, adding a little milk and a few fresh herbs, in the pan and ready! We use chicken in this version because of the valuable proteins, but you can also only use vegetables or combine them with mozzarella or goat’s cheese. You eat this wrap at any time of the day. You can even take it with you to work. Put all the ingredients ready for use. Beat the eggs with a little milk and the chives. Season to taste with a little pepper and sea salt and some curry powder. Place a pan over medium heat and allow the pan to warm up. Then you put the pan back on low heat and pour the mixture into the pan. Let him cook slowly. You do not have to turn it around. Meanwhile, cut the chicken into small cubes and also the vegetables. Bake first the chicken nicely cooked and add the vegetables for the last few minutes. Then fill the wrap with the fried chicken and the vegetables. Add some sun-dried tomatoes and rocket. Fold the wrap closed (possibly keep it closed with satay sticks).